The words “environmental science” might conjure a mental image of a researcher hiking through a forested area, or a wader-clad scientist taking a water sample by a pond. But Lucas Joppa, chief environmental scientist at Microsoft, thinks that the shiny halls of high technology companies may also be able to make a big contribution to environmental science if researchers, coders, NGOs and governments work together to harness artificial intelligence techniques to wrestle with big environmental questions. Writing in the journal Nature, Joppa calls for tech companies to strive to create an “AI platform for the planet” that could be used to answer questions about species, land use, climate, and more. The company has pledged to invest $50 million over five years for work at the intersection of artificial intelligence and the environment. Lucas Joppa is chief environment scientist at Microsoft in Redmond, Washington. IRA FLATOW: This is Science Friday. I’m Ira Flatow. If you think environmental science, you probably picture ecologists or biologists, maybe somewhere foresty, or in waders taking a water sample. But my next guest thinks the halls of Silicon Valley have a lot to contribute to the effort, if they start harnessing artificial intelligence to tackle tough environmental questions. Joining me now is Lucas Joppa, he’s chief environment officer at Microsoft in Redmond, Washington. He’s commented recently, in the journal Nature, about the need for an IA for Earth. Welcome to the program, Dr. Joppa. LUCAS JOPPA: Thanks so much for having me here. IRA FLATOW: What do you mean AI for the Earth? LUCAS JOPPA: Well really I’m talking about trying to get global societies level of information and insight into our Earth’s natural resources to the same level that we’ve managed to achieve with our insights into human activities and behavior. IRA FLATOW: So what kinds of things do you think AI can help us accomplish? LUCAS JOPPA: So if I would to look into the future, into the bit more distant future, I do imagine easily assembled AI digital dashboard for Earth, where we’re able to really put our finger on the pulse of Earth’s natural systems, and allow people like farmers to be able to understand when and where to plant their crops, when to harvest those to maximize their yield. To allow conservation biologists to understand which lands to set aside for protection, and which to set aside for wildlife corridors. For water resource managers to be able to understand the infrastructure that they need to be able to build out. And for climate scientists to be able to provide much more spatially and temporally accurate information, so that all of society’s business sectors are able to respond. IRA FLATOW: So you’d be able to take environmental data from everywhere in the world, whether it’s the oceans, it’s the land, or whatever, and put it into a giant database that people can share, and learn about each other. And maybe what has happened in the past might be telling us what’s going to happen in the future. LUCAS JOPPA: That’s exactly correct. I think there’s two things that AI can really help us to do. The first is, it can really help us extract meaningful information out of the vast amounts of data that we’re already collecting about Earth’s natural systems. So if you think about the rapidly expanding constellation of high-resolution imaging systems, whether that’s from drones and aerial platforms, or satellites and things like that, to be able to convert that raw aerial imagery that’s coming in into actionable information about things like where our forests, our fields, our waterways actually are. That’s one way that it can really help. And then the other way is to actually help us understand what data we are missing, and where we need to go, and how we need to collect it. And so those two things are really complimentary, and they’re both required to help artificial intelligence algorithms really help humans get a handle on what we know, and what we’re missing about our understanding of Earth’s systems. IRA FLATOW: So AI might be able to tell us about a trend, let’s say happening global warming in the ocean someplace, and say, oh you know, little red light or something comes on, and says, take a look at what’s going on here. You know, the coral reefs are dying in this spot. LUCAS JOPPA: Yeah, that’s exactly right. And I mean, coral reefs are a fantastic example, because we’ve seen the significant deleterious effects of climate change on those ecosystems all over the world. But you can bring it back down to even things, maybe, that people don’t think about, but tracking species all around the world. So trying to understand the state of wildlife populations, that’s something we know precious little about. But we could make some significant advances there by harnessing, for instance, the power of citizen scientists to take photographs of species that they see. And run those by computer algorithms that are able to detect, down to the species level, and even for some species down to the individual level, like– and to be able to track and monitor that over time, put that into monitoring frameworks that allow us to understand the population dynamics. Are those going up, down, and what are the potential impacts of human behaviors on those populations? IRA FLATOW: Talking with Lucas Joppa, he’s chief environment officer at Microsoft, in Redmond. Our number 844-724-8255. You can also tweet us @scifri. Talking about using AI, using it on Earth. So what needs to get on board for all this data to get together and to happen? LUCAS JOPPA: Yeah, so I look at it as kind of four key sectors need to really lean in, and take an AI first approach to thinking about how we solve some of our environmental challenges. The first sector is government. Governments and government agencies thinking about how we actually put out those data collection systems, all around the world, to bring that raw data back. To be investing in the research programs that go out and help us understand our environmental systems. And in some cases, setting out the policy frameworks for requiring the collection of that information. My colleagues and I, about a year ago in the journal Science, published a policy piece advocating, for here in the United States, that we put out an annual ecosystem assessment for our country to be able to understand the natural resource portfolio that we have at hand. Non-governmental organizations have a huge role to play here. And really, by understanding, first and foremost, the way that the latest and greatest AI advances can help extend the impact of their work. But also by coming together in consortia to really consolidate the key requirements that the nonprofit community needs to be able to do things more efficiently, so that another of the two sectors that I also think need to contribute, both academia, and the private sector, really know where to focus their efforts. So the AI and computer science research departments at the world’s leading universities, and technology companies, like Microsoft, that are out there building this new AI revolution, they know the problems that are the most important to apply their technologies to. IRA FLATOW: So how do you kick it off, something like this? How do you get it started? LUCAS JOPPA: That’s been a question very near and dear to my heart over the past year, because at Microsoft, we have been building. And then, just very recently launched a five year $50 million investment in a new program that I lead called, AI I for Earth, which really is about dedicating our efforts to deploying our deep investments in AI research and technologies in the four key areas of agriculture, water, biodiversity, and climate change. IRA FLATOW: Now I know the Gates Foundation is very involved in doing good works, good deeds, about disadvantaged areas overseas and other places. Does this sort of tie-in with any of that, that sort of idea? LUCAS JOPPA: Not entirely in the sense that the Gates Foundation and Microsoft are very distinct and separate entities. For us as the Microsoft Corporation, we’re really doing this for three reasons. First and foremost, and I think that it’s important that this is first, it’s because we do think that this is the right thing to do. Time and again, the industrial revolutions of the past have produced amazing technologies that have got our society where they are. But over and over again, they’ve– from an environmental perspective, they’ve borrowed from the future to pay for the present. We think that this new fourth industrial revolution, that’s being built on the foundations of exponential advances in AI, really needs to be the first one that helps pay back some of those debts, and help start to create a more sustainable future. We really do believe that history’s going to judge the success of what companies like Microsoft are doing, by our ability to apply some of our technologies to solve some of these challenges. It’s also good for business, quite frankly. Our employees expect us to do this. Our customers, our partners, expect us to do this, and our investors do as well. And then finally, the time is right. I mean, the applications that I and my colleagues all around the world have been working on, kind of in the back rooms of the research universities, and research arms of technology companies, the things that we thought were going to take 50 years to produce, are now coming out faster and faster. We’re starting to ship these applications at a time scale that even those of us who are on the forefront of building them never saw coming. And so the time is right. The need is acute. We need to solve some of these issues. We’re being faced with this challenge that might be unprecedented for human societies, right? We need to, somehow mitigate and adapt to changing climates, ensure resilient water supplies, sustainably feed a population rapidly growing to nine or 10 billion people, all while stemming a catastrophic loss of biodiversity. And we can’t do those things separately. We have to do them all at the same time. We need technology to help. IRA FLATOW: And what do your stockholders get out of it? Where’s the profit in this, for Microsoft? LUCAS JOPPA: Sure. So there’s a few things. First and foremost, our stockholders get happy employees who get to work on things that they’re passionate about. IRA FLATOW: That doesn’t raise the price of your stock, I don’t think. LUCAS JOPPA: No, no. But I will say that by focusing on some of these problems in the environmental space, we’re actually forcing our AI systems to confront some incredibly hard technology challenges, that if we crack, will accrue benefits across our entire technology, and customer, and partner chain. So one example that I can give you here is, an example that I feature in the piece in Nature, is high-resolution land cover mapping. And what we’re trying to do there is quite similar to all of the computer vision techniques that people have been doing to allow you to recognize your family members, and Facebook photos, or cats in online videos. But we’re trying to instead of identify a single object in one small photo, we’re trying to identify where the forest and the fields are across one entire image database, something like 10 trillion pixels, all at one time. That requires a lot of distributed systems, engineering, new algorithmic approaches, that are also applicable to many other things. So we live in a technology world where everything is connected. And working on these things will accrue benefits from a technology perspective. IRA FLATOW: That’s quite interesting. We’re talking with Lucas Joppa, chief environment officer at Microsoft, in case you just joined us. Let’s go to the phones, we have two phone calls. Let’s go to Patrick, in Syracuse. Hi Patrick. PATRICK: How are you doing? IRA FLATOW: Hi there, go ahead. PATRICK: Well I grew up in the technology world, and I think that virtual reality is great, but it doesn’t necessarily mean anybody’s going to act on it. I think there’s a lot of scientists out there today that just endlessly study climate science, global warming, but we have a government that values the dollar over the science. And it’s kind of– I think where this will goes as well. IRA FLATOW: OK, thanks for the call. LUCAS JOPPA: Yeah. So look, I think I actually tried to address some of this in the Nature piece as well, which is to say, look, we do know what we need to do. We need to reduce the emissions of greenhouse gases. We need to reduce the destruction and degradation of our forests worldwide. We need to reduce the warming of our oceans. The bigger question, though, is how we’re going to do that, and where we’re going to do it? And how are we going to do that most cost effectively? And that’s where I’m saying that AI, and some of its associated technologies, can really help us be more efficient. IRA FLATOW: Do you think there are any people that are going to be worrying about privacy issues here, with monitoring of resources and their property, or other things that they might consider private? LUCAS JOPPA: Yeah, sure. So I think that’s a completely valid point. Everybody wants to talk about that issue. It’s particularly relevant when you’re talking about a topic like AI for Earth, or an AI platform for the planet, because at the end of the day, you do have to recognize that every bit of land out there belongs to some individual, organization, or geopolitical entity. And so we do have to make sure that all of these systems, when they roll out, they’re transparent, ethical, and fair. The nice thing here is that that’s a conversation that extends beyond AI for Earth, or things like it. It’s an AI conversation. And the AI community, both the research community and the technology sector, have been addressing this front on. I mean, Microsoft was one of the founding members of a consortium called the Partnership on AI, which is a lot of the large technology companies coming together to set these standards about algorithms, and how they’re deployed. One of the things that I call for in this Nature paper is that, is for the topic of environmental monitoring to be part and parcel of that AI conversation. IRA FLATOW: I’m Ira Flatow. This is Science Friday, from PRI, Public Radio International. 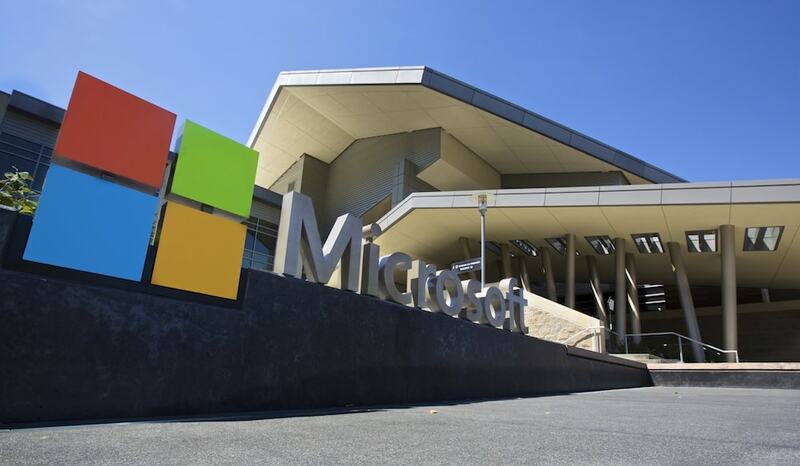 In case you’re just joining us, we’re talking with Lucas Joppa, chief environment officer at Microsoft, in Redmond. How did you get to be, to go from– I’m going to call you a geek– to chief environment– because I certainly am one– to a chief environment officer? Where you always interested in the environment? LUCAS JOPPA: I am, and actually, my title is chief environmental scientist, not chief environmental officer. IRA FLATOW: Oh, I’m x-ing that out on my paper, right here. IRA FLATOW: Well, one of us is. LUCAS JOPPA: –beginning. Well from the very beginning, I’ve always said I don’t want a job if it doesn’t have the word scientist in the title. And I have been incredibly interested in natural systems from the very beginning. I grew up in extremely rural northern Wisconsin. And I was really interested in the environment, and how ecological communities worked. I studied wildlife ecology, for my undergrad, at the great department at University of Wisconsin-Madison. I spent two years in the Peace Corps. I did my PhD in ecology. But as I went through my academic training, it just became abundantly clear to me that asking the questions that I wanted to ask, well answering the questions that I wanted to ask, was going to require computational support. There is no way I was going to be able to ask these questions, at the scale that I wanted to, without bringing in computers. That led me down a path that brought me into Microsoft’s Blue-Sky Research division, called Microsoft Research. I spent seven years there, in some ways incubating the ideas behind AI for Earth. I was leading academic research programs at the intersection of environmental and computer sciences. And then, when the time was right, I wrote a memo called AI for Earth, laying out how Microsoft should build up a program in this space, and here we are. IRA FLATOW: So you see how big data– and that’s what you’re really involved in here, right– how big data can, and studying big data, and analyzing big data about everything in the environment, can help us be better stewards of the Earth. You know, put it that widely spoken. Big data is helpful to all of us here. LUCAS JOPPA: Most definitely, and particularly the way that we’ve built our AI algorithms of late, the more data, the better. I would say, though, moving forward, one of the things that AI can really help us do, is move from big data to small data. Because once we’ve trained these systems, we don’t have to go out and be collecting data willy-nilly, right? The systems can tell us what data needs to be collected, and from where, to provide maximum information back to the system. And that will reduce this data load that all of us, kind of, live under every day really. LUCAS JOPPA: Thank you so much. I really appreciate the opportunity. IRA FLATOW: Happy new year. Lucas Joppa is chief environment scientist at Microsoft, in Redmond, Washington. The internet grew for decades without 2015’s net neutrality rules. So what happens if the FCC repeals them? A controversial technique for combating climate change has caught the Congress’ eye.